NTT DoCoMo, the largest wireless carrier in Japan, has reached an agreement with Twitter to integrate Twitter with their products. The most exciting feature of that partnership is the ability to "Tap to Follow". By bumping NTT DoCoMo devices with NFC capability, users can quickly follow one another. In addition to NFC integration, Twitter will also be added to the default portals on both feature phones and smartphones. By some time in summer, DoCoMo's "i-mode" portal on feature phones will include real-time Tweets. And the "docomo market" portal for smartphones will receive such integration later this year, or in early 2012. 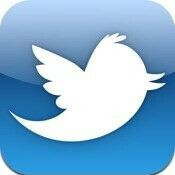 Twitter has roughly 17.57 million users in Japan, and 25% of all global tweets come from Japan. So it's no surprise that such carrier-Twitter integration would begin in Japan. We in the U.S. are looking forward to the increased presence of NFC, and the eventual implementation of such services with all of our favorite social networking applications.